UPDATED: Thu., March 15, 2018, 11:31 a.m.
Idaho Fish and Game officials recently killed 10 wolves in an effort to improve elk survival rates in northern Idaho. 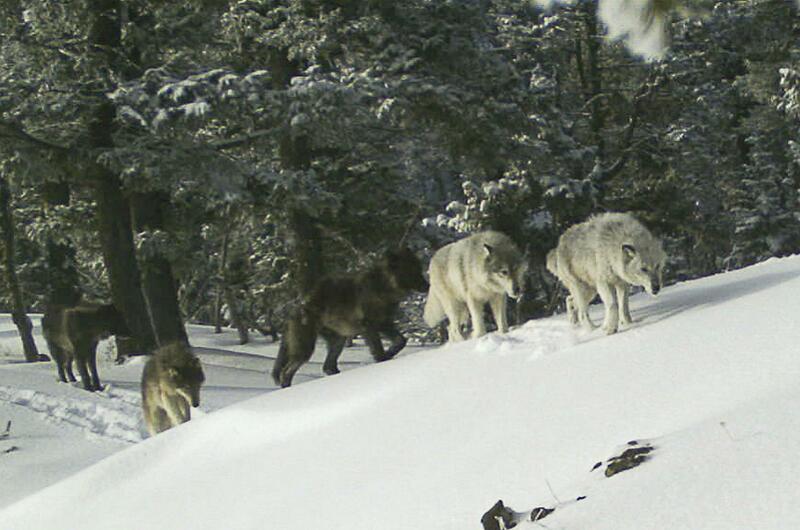 The wolves were killed in northern Idaho’s Lolo elk zone, according to a news release. The operation started in late February. The Lolo elk population has declined in the last 25 years from a peak of 16,000 elk to less than 1,000 at points, according to the news release. Last year biologists surveyed approximately 2,000 elk. The department attributes the struggling elk population partially to wolf predation. The department prefers when hunters and trappers control wolf populations, according to the IDFG news release. However, the Lolo elk area is steep, rugged terrain and is difficult to access, especially in winter. As of Monday trappers and hunters reported killing 22 wolves during the 2017-18 season. The trapping season ends March 31 and the hunting season ends June 30. The operation was funded with Fish and Game license dollars transferred to the Idaho Wolf Depredation Control Board. The board was created by the Idaho Legislature in 2014. In an email IDFG spokesman Roger Phillips said he did not yet have a cost estimate for the operation. IDFG contracted with U.S. Department of Agriculture’s Wildlife Services to hunt and shoot the animals using helicopters. IDFG has conducted similar operations in the past and makes a point of announcing the operation after the fact. A news release by the Center for Biological Diversity – a conservation group based in Arizona but with a staff attorney in Idaho – decried the killings. “It’s tragic that our tax dollars paid for Wildlife Services to kill 10 more wolves under the guise of protecting elk struggling from habitat loss and degradation,” said Andrea Santarsiere, a senior attorney for the Center for Biological Diversity in a news release. Published: March 14, 2018, 5:55 p.m. Updated: March 15, 2018, 11:31 a.m.